John was amazing. He is very knowledgeable in the insurance business. Great costumer service. We will be clients for life. Thank you again John! 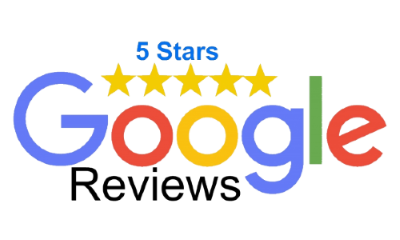 Rita BaumgartlMoheyer Insurance Advisors are excellent.Very professional and caring, friendly.My experience was a great one.All my needs were addressed I am very satisfied with the service I received. I highly recommend Moheyer Insurance Advisors . I submitted a quote request online for homeowners insurance. John responded very quick with 3 different quotes and went over each one to fit my needs. He was knowledgeable and very professional. Overall, my experience was great and I am happy to refer him to others. John was absolutely amazing!!! He helped me find the best price for car insurance and was so quick to answer any questions I had! I would highly recommend him!! My Agent was very easy to work with. He addressed my issues and concerns and was prompt in providing the new documents for the changes that were needed. I would definitely recommend this Agent and company for your insurance needs. "It was great doing business with Mr. John Moheyer. He definitely showed that he has vast knowledge about both Auto and Home Owner's Insurance coverages. And it is a great delight for me to join the Erie Insurance family. Affordable pricing for adequate coverage! with great customer service" Thank you, John! Providing Commercial Insurance, Home and Auto Insurance, Life Insurance, and Commercial Bonds for Huntersville and All of North Carolina. Moheyer Insurance Advisors proudly represents Erie Insurance, which sells Commercial Insurance, Home and Auto Insurance, Life Insurance, and Commercial Bonds and life insurance through a network of independent agents in 12 states and the District of Columbia. Moheyer Insurance Advisors is a full-service independent insurance agency in Huntersville, North Carolina. The agency provides Home & Auto Insurance, Business Insurance, Life Insurance, and Commercial Bonds. Aside from providing Home, Auto, Life, and Business Insurance they also specialize in the following commercial insurance industries: Automotive & Truck dealerships, Transportation businesses; Motorcycle and Powersport dealerships, Equipment & Machinery dealerships, Material Handling dealerships, and Boat dealerships. Moheyer Insurance Advisors is available to help new residents and businesses moving to the greater Charlotte area. The agency takes pride in its Midwestern values while offering cost effective solutions, always keeping the customer’s needs in the forefront. Principal agent John Moheyer is an Accredited Insurance Advisor with over 15 years of insurance experience. Half of those years he spent working for an insurance carrier, and the other half he has spent representing the customer. Viewing insurance through both lenses has allowed him to educate customers thoroughly and provide solutions different than your typical agent. Etiam pharetra diam magna, id fermentum magna pellentesque porttitor. Fusce nec diam tortor. Ut non ipsum quis arcu porttitor iaculis. Vivamus et lacinia ex. Integer lobortis enim justo, in placerat metus fringilla non.